Hunger strikes demanding the end of isolation regime on Abdullah Öcalan continue in Bashur, South Kurdistan. 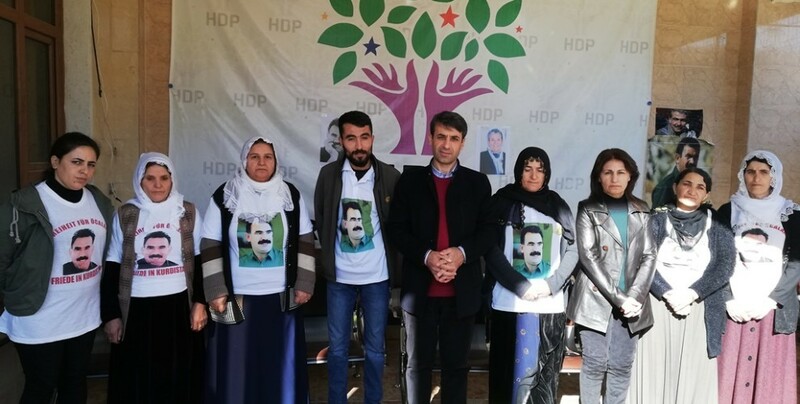 The hunger strike launched under the lead of the HDP South Kurdistan Representation Office on November 21, 2018 has entered day 63. With the statement released today in Hewler, the hunger strike was taken over by the 32nd group. The health of HDP Member Nasir Yagiz, who has been on an unlimited nonalternating hunger strike for 63 days since the action started, has reached a critical level. Yagiz said he will continue his hunger strike despite having critical medical issus like headaches, nausea and high blood pressure. Children in the Martyr Rustem Cudi (Maxmur) Refugee Camp sent a letter to HDP Member Nasir Yagiz in support. “I promise the children that our protests will continue until the Leader is free, as they expressed in their letter. We will expand our actions every day. All our efforts are so the Leader can be physically free. The hunger strike launched by the Mesopotamian Workers’ Association in Suleymaniye on December 14 against the isolation continues. A group of people from Shengal visited the hunger strike. 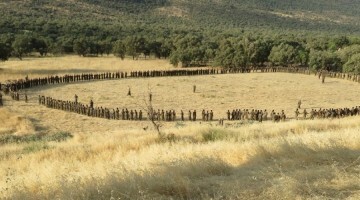 The people of Shengal said they support the hunger strikers and demand freedom for Ocalan. Kurdistan Women’s Union called for support for the hunger strikers and held a press statement in Sulaymaniyah. Kurdistan Women’s Union members and administrators attended the protest. 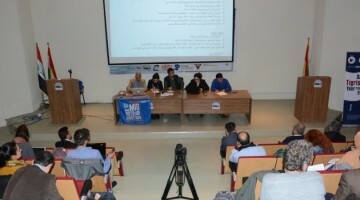 The statement was read by Kurdistan Women’s Union member and Tewar Journal Editor Kiner Ebdullah.